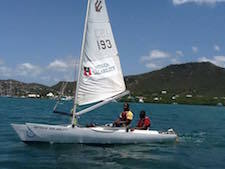 Sailability Antigua offers the people of Antigua and Barbuda with disabilities the opportunity for social interaction and outdoor activity. Sailability's goal is to make sure that as many people as possible, regardless of type or severity of disability and age have a chance to discover what sailing could do for them. Moreover Sailabilty is free. 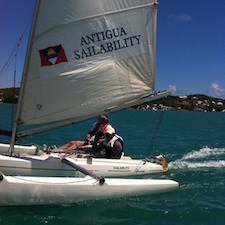 Sailability, sailing for the disabled, runs from the National Sailing Academy Grounds in English Harbour. Through the programme, many disabled people have been given a chance to come to English Harbour and have an experience they could never had hoped for. Sailabilty offers an opportunity to enter a world filled with new sensory and physical experiences, along with social interaction and a day of respite. Specialist boats are used to give persons with disabilities the chance to learn to sail, and ultimately a liberating life experience. The Academy is fortunate to have had two 'Challenger Trimarans' donated, which are used in weekly training with adults and children with disabilities. It is impossible to overstate the delight that the wholly new experience of sailing can bring to the lives of our disabled sailors. In many cases, they will eventually learn to sail the boats by themselves, but, even those who cannot, experience a very real pleasure on being out on the water and the sense of adventure that it can bring to their lives. Sailability runs through generous donations and volunteers and needs ongoing donations to continue their programme. Donate by visiting their location in English Harbour to help support a great cause. 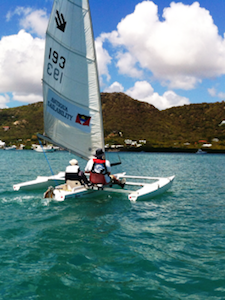 Browse the Sailability Antigua website for details on the programme’s current position, their future goals, how you can help, and much more. 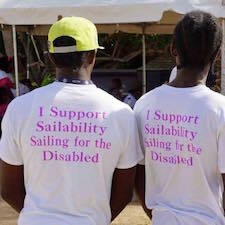 Each year the Sailability Super Sunday is held to promote awareness and unite the community with Antiguans and Barbudans with disabilities. The event features a Charity Walk on Dockyard Drive and Family Fun Day, receiving tremendous commercial, government and community support. Next year, the Sailability Super Sunday is being held on 11th March 2018. To find out more about Sailability, check them out on their website, and be sure to like their Facebook Page for updates on the programme and participant progress.